A richly carved bar cabinet or hall console from about 1915 has sculpted figures and a lion head with classical detailing. 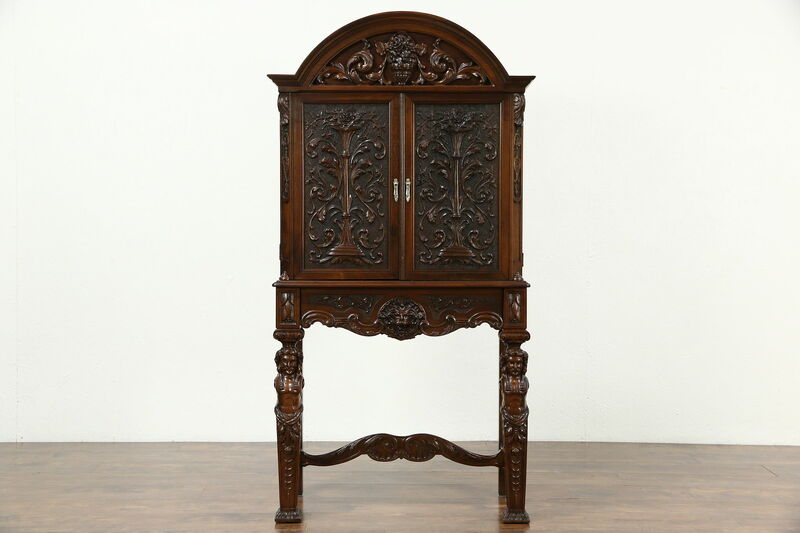 American made antique furniture, the deep restored finish is in excellent condition. Three dimensional carving is truly artistic. Door pulls are original and the drawer pull is the lion head. Measurements are 32" wide, 16" deep and 63" tall.